Tripledot Studios, a London-based gaming studio that was founded by a team who worked for companies like King Digital, Peak Games, Facebook, and Product Madness, has raised $8 million in a seed round of funding led by Velo Partners. Tripledot Studios has launched several titles like Solitaire, Solitaire 95, Sudoku and a story-based chat game called Twisted. These games can be played through Facebook Instant games and downloaded from the Apple App Store and Google Play. 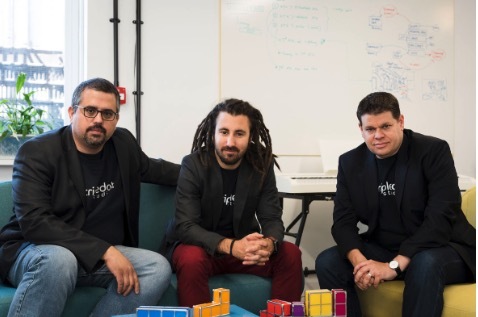 The three founders of Tripledot Studios include Lior Shiff (CEO), Akin Babayigit (COO), and Eyal Chameides (CPO). Shiff previously co-founded and headed up Product Madness, which is one of the largest mobile gaming companies in the world generated hundreds of millions of dollars. Babayigit was the head of business operations at King Digital and also spent more than four years working at Facebook. And Chameides was previously the Creative Direct and part of the founding team at Product Madness. “We are building the ‘Apollo Program’ of mobile games. Like the Apollo Program, brought the best and brightest to achieve amazing things, we are bringing exceptional people together to create extraordinary mobile games. Our team has a unique understanding of the three pillars necessary for success in mobile games – science, art and business. We know how to turn ideas into successes and are agile enough to execute quickly on rapidly moving market trends and opportunities. This is reflected in the amazing reception of our debut titles, already being played by millions of players worldwide,” said Shiff in a statement. Velo Partners managing director Evan Hoff oversaw the investment in Tripledot Studios and he said that it is “great to be able to partner with a team that you know and trust.” Hoff also pointed out that the company already has a run rate of seven figures in revenue.